CasaSito supports educational opportunities in rural areas of Guatemala so that indigenous children living in poverty can attend school, receive quality instruction, and obtain the skills they need to improve their lives. They also have a volunteers’ house in La Antigua where volunteers can stay while working on one of their many programs. backgrounds; some have been abandoned, some have been abused, while others come from families too poor to provide the basics of a child's needs. A grass roots, Maya organization dedicated to improving health, education, and family incomes in eastern Guatemala. Starting in 1992, today Ak’ Tenamit is run entirely by the Q’eqchi people. With a strong increase in enrollment through the years (including many girls), graduates receive high school degrees in sustainable tourism and well being. They have also helped in Las Conchas! Atitlan Resouce is the official resource site for Lake Atitlan, Guatemala. This site is run and managed by the Jovenes Mayas Kaq’chikel located in San Marcos la Laguna in the highlands of Guatemala nestled in the cauldron of a lake volcano. Conexion is located in the heart of beautiful Antigua providing complete communications & office services. The webpage has a good directory. A travelers guide to Coban and the Verapaces. In Quetzaltenango Xela Pages has good information and serves as a directory for language schools, hotels, tours, volunteering and more. A travellers forum to go to for advice and current info. 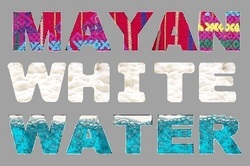 If you are a kayaker or rafter, this is your link to explore the rivers and creeks of northern Central America. Join the adventure! Guatelinda Language Center in La Antigua, Guatemala specializes in teaching Spanish, Italian, Japanese, French, German, English and Kaqchiquel languages. 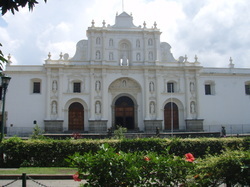 Also offers, salsa and afternoon activities around La Antigua. Help them to support a local homeless project located behind the central bus station and receive a 10% discount on a 20 hour week of studies. Litegua works in transportation and shipping, a good choice when getting to and from Rio Dulce or Puerto Barrios from Guatemala City. A great location and friendly place in La Antigua Guatemala, on 1ra. Avenida Sur No.8, three blocks away from the central park. Located in El Remate halfway between Flores and Tikal. Collective minibus and private taxi service is available for pick up and return at the hotel entrance. More than just a cheap sleep. More than just another stop on your trip. Los Amigos is a secret garden where you can share the magic of travelling with other adventurous minds. They have tours to all the major ruins and transport to the places you want to go, plus a great restaurant and bar.